My favorite windsurf property is Lac Bay Villa on windy Lac Bay. I am offering 5% off for new bookings for travel Oct.1- Dec.1. 2013. This 4 bedroom villa is perfect for couples, a group or family reunion. The special features include a new gourmet kitchen, star or sunning deck and covered patio with stellar views of the windsurf scene. Email ann@bonairecaribbean.com today for details and pricing. Ask about a windsurf package. 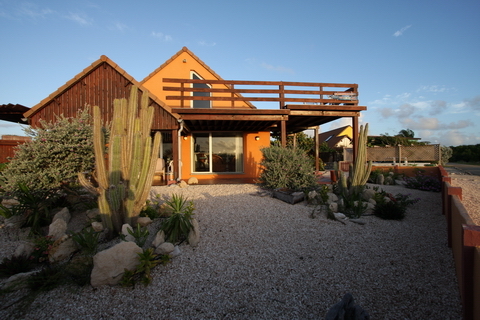 Mention Bonaire Bliss for the 5% discount. All clients of Caribbean Wind & Sun earn free VIP Concierge services.